With just 11 days left for Christmas, here is another Christmas manicure. To be honest I did this quite some time ago but as it turned out too Christmasy I was saving it for the holiday season. This look is quite easy to make and I actually got a lot of compliments on it when I had it on. Anna Sui 318, a lovely pink shimmery polish. 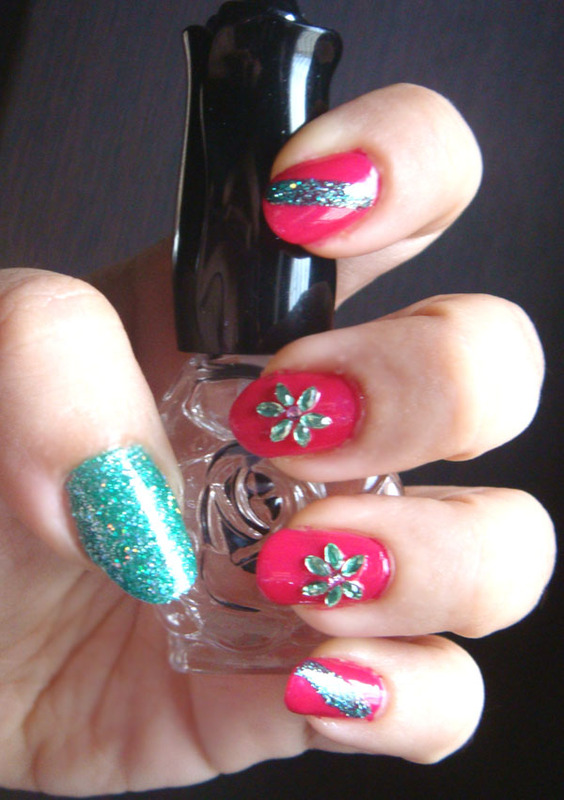 After applying base coat and two coats of each colour on different fingers, I made diagonal stripes with the TiNS polish and using top coat and the rhinestones I made flowers on the other fingers. I used just the glitter polish on my thumb and didn't put anything else on that nail as the colour is quite spectacular on it's own. I sealed everything with a layer of natural look Gel top coat and voilà! These are very very cute! 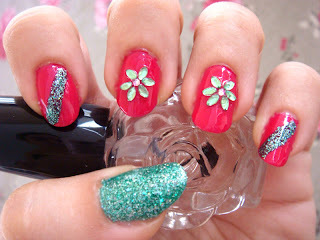 I love the shape the of the Anna Sui polish! 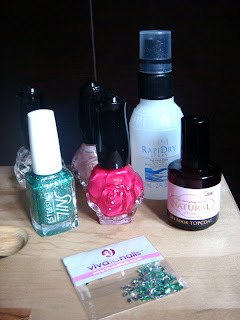 i love anna sui polish! This is stunning, so girly, I love it! Very festive! I love those Anna Sui bottles; one day I will add some to my stash. @Katrina I just with TiNS was easier to find!